U9 Development – Kindergarten, 1st and 2nd grade. Practices will be once a week – on Sundays for the K's, once a week - on Saturdays for the 1st graders, and twice per week for the 2nd graders – times TBA. Eighth graders and LSRHS Varsity Lax players will assist the coaching staff in teaching the fundamentals of the sport while striving to maximize player enthusiasm and a love for the sport. Limited travel for small-field games. 3rd and 4th Grades - The 3rd and 4th grade teams will be playing in the new TPL 7 v 7 league on smaller fields. There will also be some Ad Hoc tournament opportunities throughout the year where the coaches will pull a group of kids together and play in 2 or 3 tournaments throughout New England. 5th Grade - The 5th grade will be split into two evenly weighted teams and will compete in the Town Pride League most likely on Sundays. The two teams will also be entered in two regional tournaments with one ad hoc tournament team being entered in a travel tournament. There will be two practices per week with one being a grade level skills development practice and the second being with the player's specific team. Development Teams – 6th, 7th, and 8th grades. This team is aimed at kids new to the sport or who do not wish to play on the more competitive 6th, 7th, or 8th grade Tournament Teams. This team will play in the TPL Development League with two weekly practices and games on weekends. Each team will also be entered in the UMass Garber Invitational tournament in April and participate in a TPL end of the year tournament. Braves, Warriors, and Colts Tournament Teams – 6th, 7th and 8th grades.The rosters for these teams are built through selective tryouts. 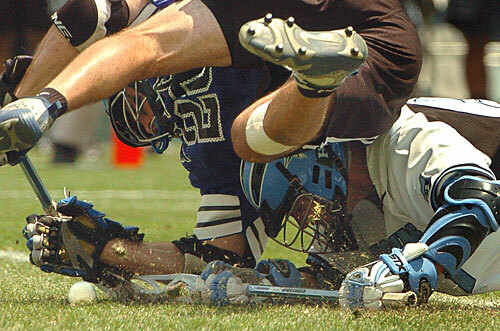 Participation on these teams comes with an expectation that lacrosse is the player’s primary spring sport, as well as a more demanding travel and competitive game and tournament schedule. Practices will be 3 to 4 times weekly. More than one game on weekends, or during the week, is typical.